Tanzania has become the first member of the East African Community to openly endorse the deployment of African Union peacekeeping troops to strife-torn Burundi. 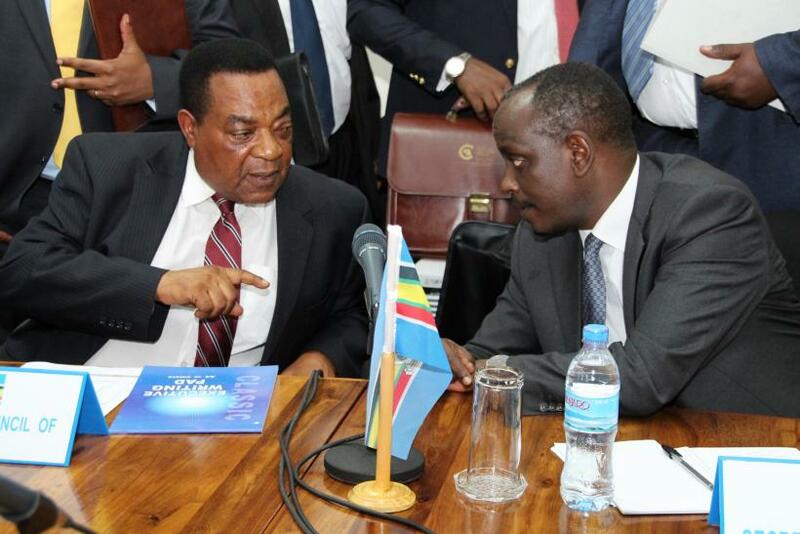 During a meeting with the head of the African Union last week, Tanzanian Foreign Minister Augustine Mahiga urged cooperation from Burundi's government, which considers the proposed mission as an invasion, according to Kenyan newspaper the Daily Nation. Tanzania and Burundi are both members of the East African Community, a regional intergovernmental organization that also includes Uganda, Kenya and Rwanda. Tanzania has long played a leading role in the region. In 1979, its army invaded Uganda and ousted dictator Idi Amin. Tanzania was set to host peace talks last week between Burundi’s government and opposition groups in Arusha, after they opened in Uganda late last month. But a senior official in Burundi’s Foreign Ministry said the government will not partake in the talks because they included those who are “supporting violence,” VOA News reported. The African Union announced its plan in December to send a 5,000-strong peacekeeping force imto Burundi to curb intensifying violence and protect civilians, following renewed violence in the small East African nation. The 54-member regional bloc gave the government 96 hours to respond and was met with rejection. In any case, the proposed mission still needs a green light from the United Nations Security Council, according to CNN. Burundian government representative Philippe Nzobonariba quickly warned the African Union against deploying a force, saying his country has enough troops to maintain peace. Nzobonariba said sending forces without the government’s consent would be viewed as an attack on Burundi, the Associated Press reported. The crisis in Burundi began in April when President Pierre Nkurunziza, a former Hutu rebel, said he would run for a third term. Critics said Nkurunziza was violating the constitution and a peace deal that ended 12 years of civil war between Burundi’s Hutu majority and its Tutsi minority. Demonstrations against Nkurunziza’s bid for a third term broke out, and violent clashes erupted between protesters and forces loyal to the ruling party. A failed coup d'etat escalated the violence in May. More than 200,000 people have been displaced during the current conflict. Nkurunziza’s landslide victory in the June presidential election fueled fresh demonstrations and attacks in the capital, Bujumbura. Dozens have been killed since then, including Burundian opposition figures and supporters, as well as a former army chief and a former intelligence chief. Leading Burundian human rights activist Pierre Claver Mbonimpa was shot and seriously wounded in August by gunmen on motorbikes in the capital. Despite the attacks, Nkurunziza was sworn in during a low-key inauguration ceremony in August. 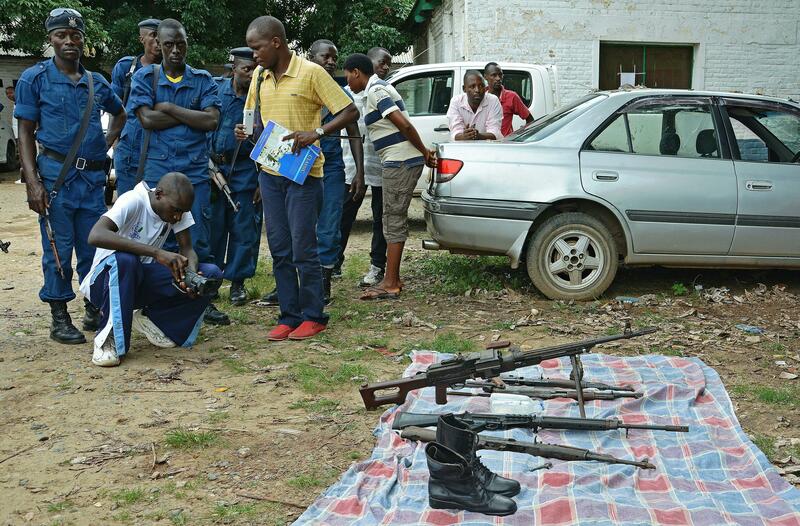 Last month, a Paris-based human rights group has accused Burundi’s police of unlawful killings in the latest attacks. Security forces loyal to Nkurunziza conducted sweeping raids and arrests in areas of Bujumbura after unidentified gunmen attacked military barracks Dec. 11. At least 300 young men were seized, with more than half of them allegedly killed and the remainder missing, the International Federation for Human Rights and the Ligue Iteka said in a December statement. Burundi’s military has downplayed the death toll, saying 87 people were killed and 49 were captured, according to BBC News.